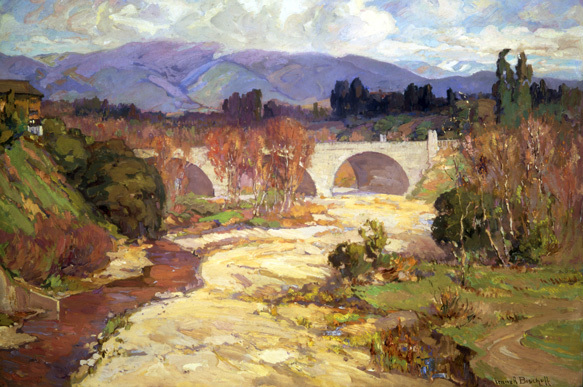 Franz A. Bischoff, Arroyo Seco Bridge, Oil on canvas, 1915, 30 x 40 inches photo courtesy Gilcrease museum. Light, plentiful and lively in California, and the ways it shines upon the state’s mountainous peaks, steep cliffs that dive into blue oceans, rolling hills and other beautiful landscapes, highlighting rich, vibrant colors, was the dominant focus of California Impressionism, an artistic style born in California during the early 20th century. A style that interprets the way light brings the land to life, the artworks that arose from this genre represent “vigor and grandeur,” the Gilcrease Museum’s website explains. “The sun shone its light on the land and gave it color: greens of spring, browns of later summer and fall and everywhere, the deep blue mantle of the sky.” The exhibit comes from The Irvine Museum in Irvine, Calif., which displays California art of the Impressionist Period (1890-1930). California Impressionism: Selections from the Irvine Museum opens at Gilcrease May 3 and continues through Sept. 6. See Franz A. Bischoff’s Arroyo Seco Bridge (1915), Maurice Braun’s Yosemite Falls from Valley (1918), Paul Lauritz’s Mountain Silence (1922), John Frost’s Near Lone Pine, California (1924) and many more masterpieces. 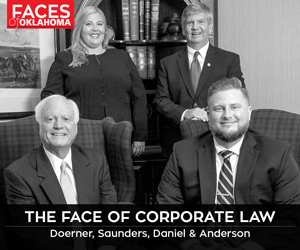 For more information, visit www.gilcrease.utulsa.edu.